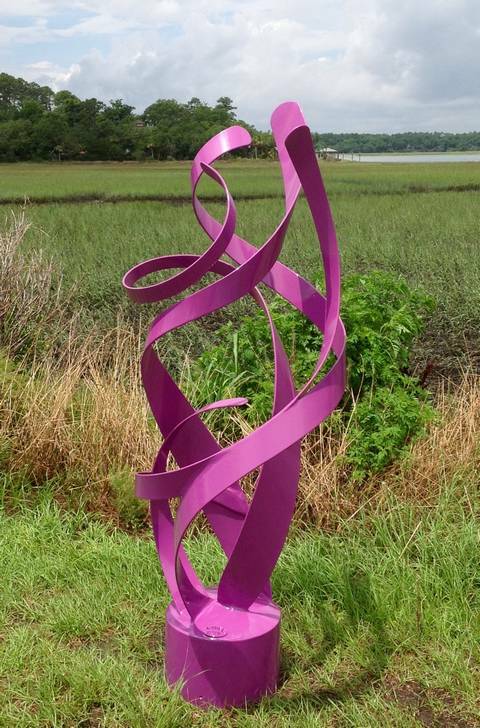 Not all art is complicated or serious! The wind and the marsh sweep together as one. Creation can not be improved! 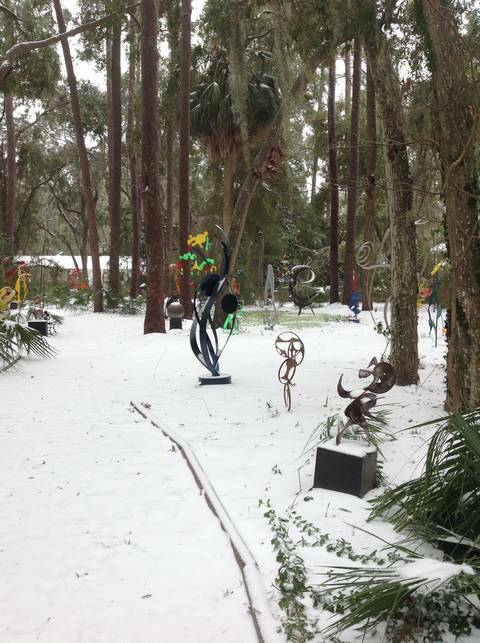 Palmetto Oaks Sculpture Garden 4" of snow on top of freezing rain, and after a 23 degree night time low. 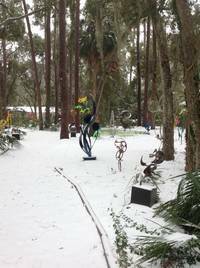 Worst winter weather in 28 years for Savannah, Hilton head island and Bluffton South Carolina. 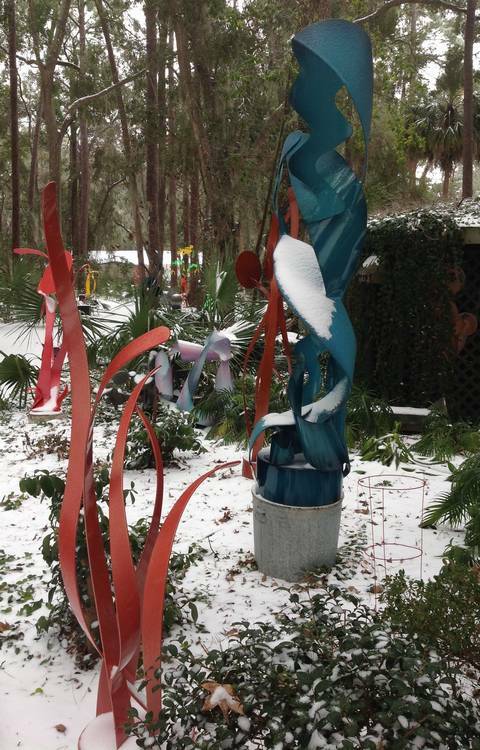 On February 18, 2018 I took the Terra cotta Colored botanical abstract sculpture to the Broadhurst Art Gallery in the Village of Pinehurst for my Sculpture & Mobile Show Opening. 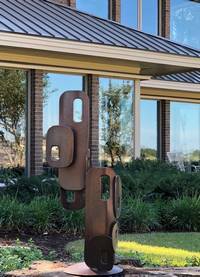 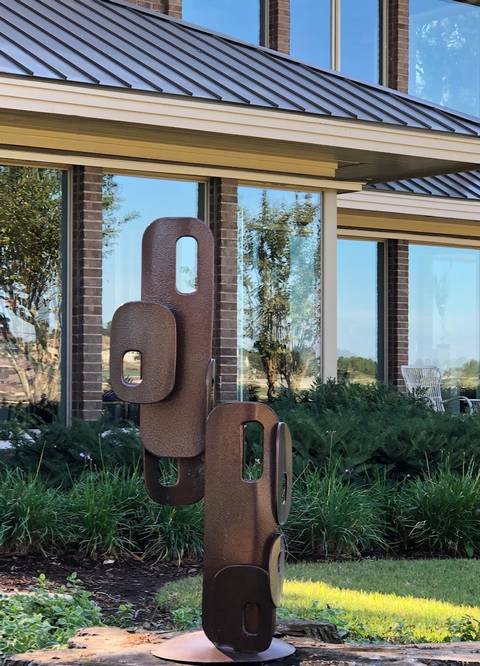 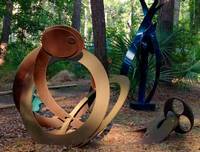 If your Visiting This World Class Golf Resort,Please take time to visis Broadhurst for the best in Contemporary and Abstract Art and Sculpture in the Sandhills. 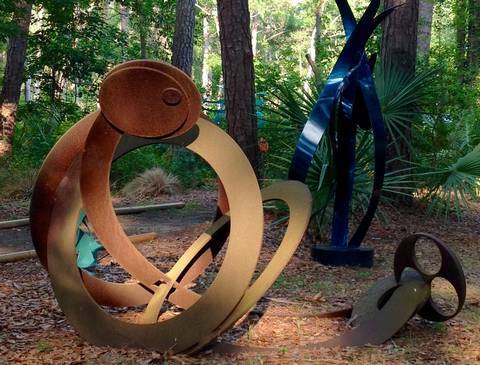 Check out other cool Things To Do on TripAdvisor for February and March 2018. 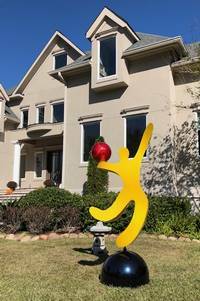 One of my good clients asked me to repair and repaint an old sculpture they purchase from New York Sculpture Steve Zaluski. 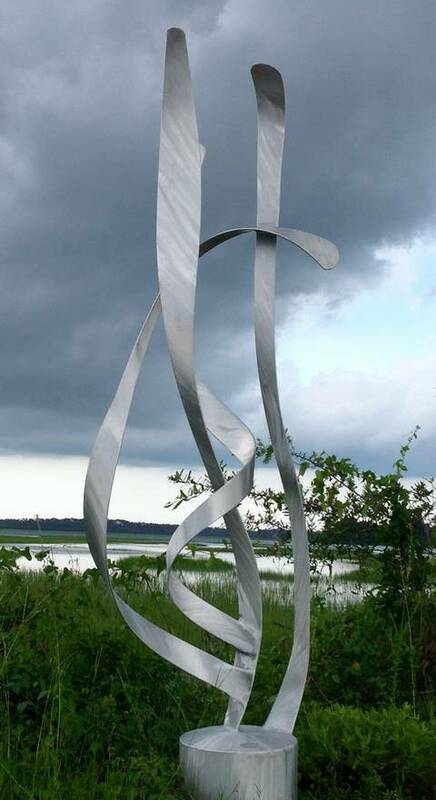 I am glad to bring new life to an older sculpture by a colleague. 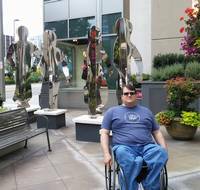 My first apprentice (Doug Crabtree) with a large installation of stainless steel sculptures that he helped me create and deliver on time, for The Shops at the Bravern (Ground floor of the Microsoft towers in Bellevue, Washington. 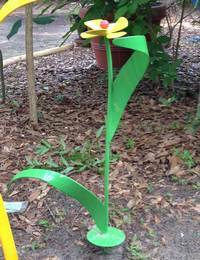 This Flower will add a bigger than life splash of color to your garden. 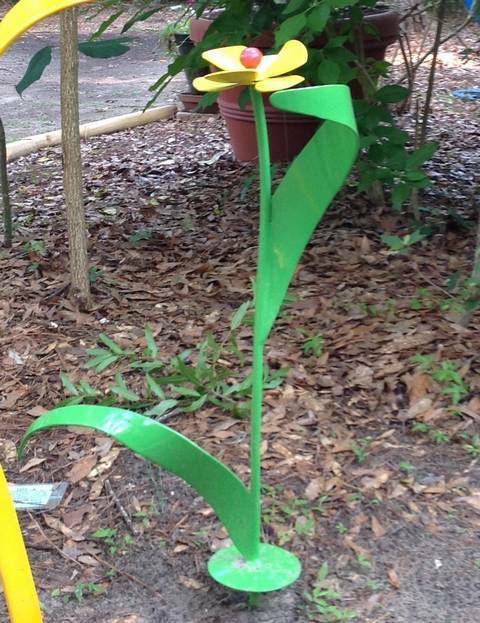 Note: the dome top base, it is designed to shed dirt and water and help keep your flower looking good year round. 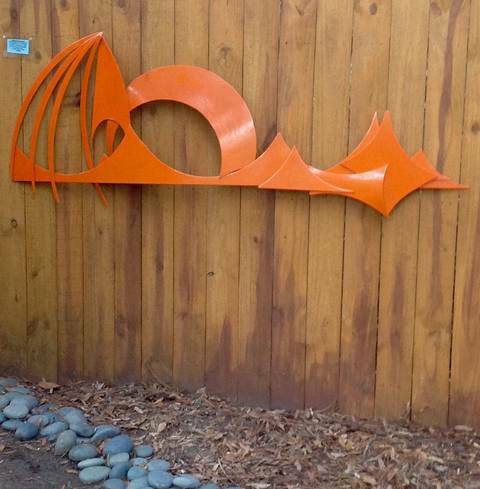 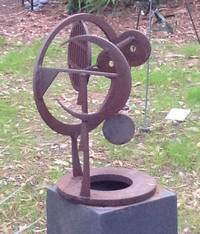 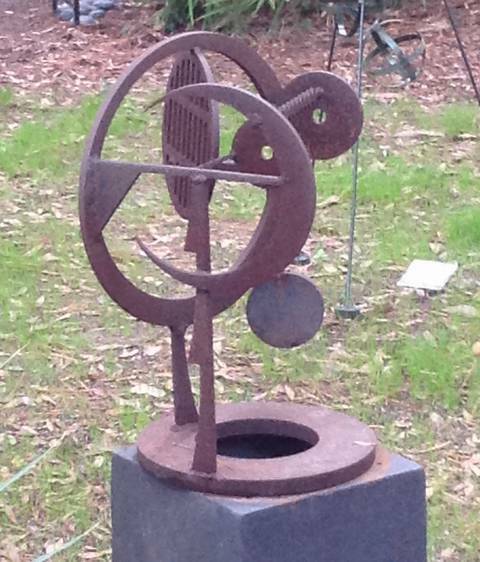 This garden sculpture is made with the feeling of the modern movement of the 1950-60s. 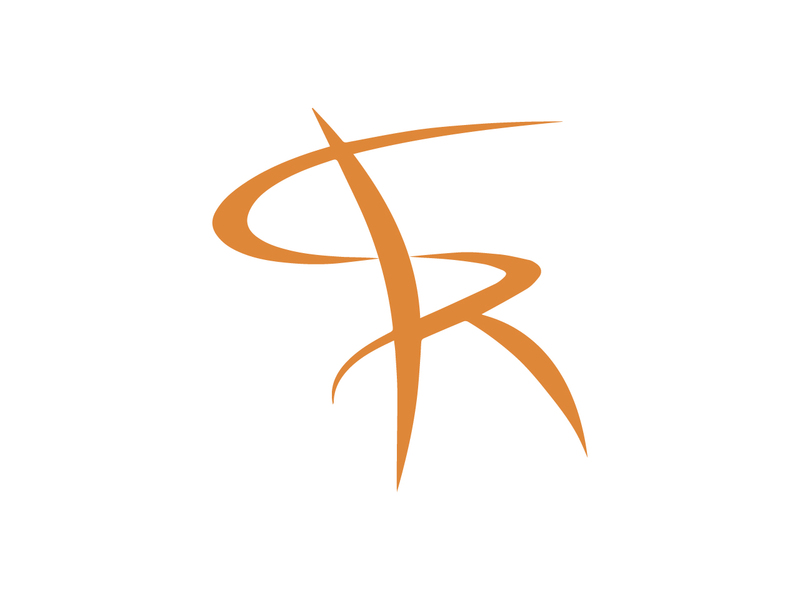 StephenKishel.com is a Innovations Systems web creation.